You read that right—I used to be a vegetarian long before I became a hunter. So how did I end up here? Now butchering my own meat. When I was around 16 years old, my best friend and I decided we’d become vegetarians. There wasn’t much to it. We likely watched some ridiculous video or read an article and decided it was a good idea. To be honest, I think it had more to do with being an angsty teenager making things difficult for my parents by refusing to eat meat. Sorry guys! I’m sure karma will come back my way when I have my own children! Here’s the thing, I still loved meat. Not a day went by that I didn’t want to eat a piece of bacon or a steak. It hurt to see someone ruin a perfectly good steak by ordering it well-done instead of medium-rare. Obviously I wasn’t the greatest vegetarian. So after a year, being a vegetarian became a thing of the past. Fast forward more than a decade and now I’m a proud hunter. How did the pendulum swing so far? 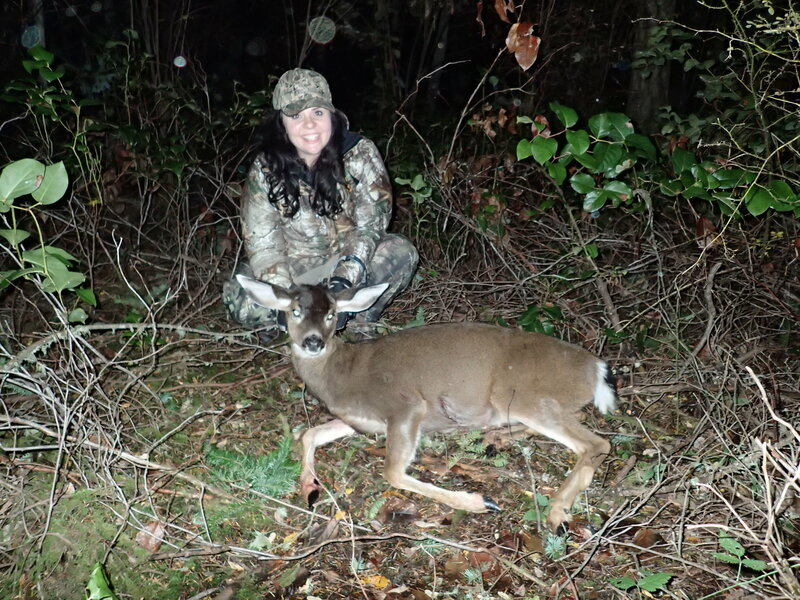 When I started learning more about hunting, one of the things to spark my interest was being able to provide organic meat for my family. Knowing exactly where your meat is coming from really intrigued me. It’s why when I shot a deer, I wanted to watch and learn all I could about skinning and gutting a deer. Later, when my brother showed me how to butcher the meat, I was still intrigued to keep learning. It was fascinating seeing how all the cuts are connected. You don’t really realize how it’s all put together when you only buy packaged meat from a store. 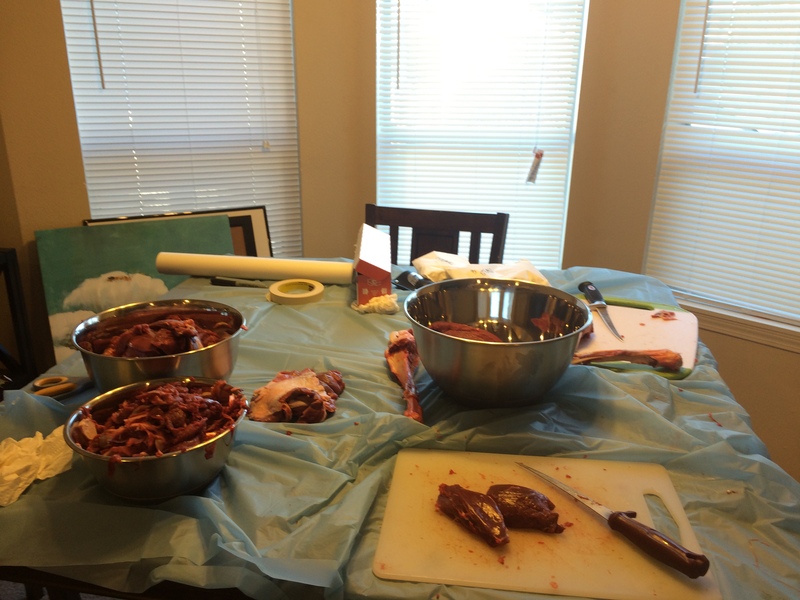 Learning how to process a deer myself really gave a new appreciation for meat and where it comes from. And now I’m able to cook delicious meals with venison and I have no questions about the quality of the meat. I know because I was involved in the processing of the deer from step one. 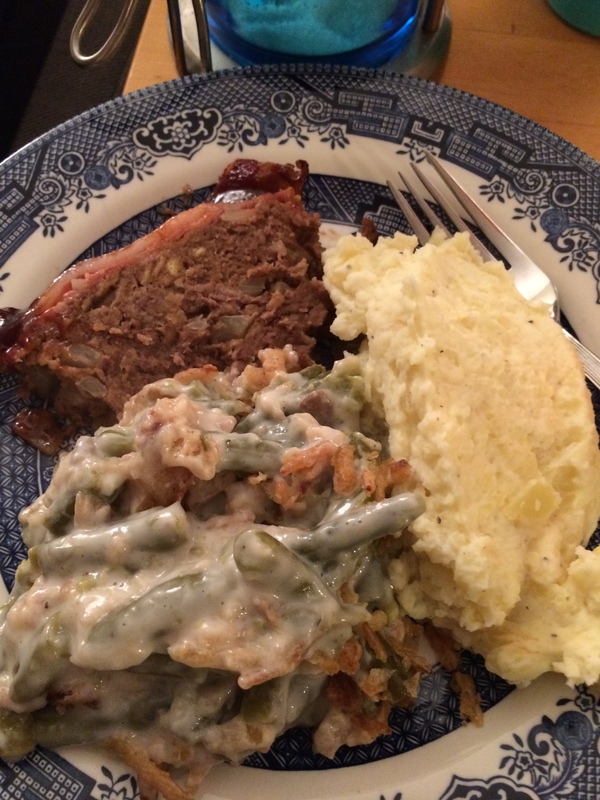 One delicious venison meatloaf dinner! So it’s a little funny when people who don’t agree with hunting tell me I should be a vegetarian. Been there, done that—it’s not for me. Just like hunting might not be for them. I’m going to keep eating meat whether I hunt or not. I’d just much rather the meat come from the field than a store! So, what about you guys? Anyone else make the same change from vegetarian to hunter? Share below! From Vegetarian to Hunter. Love it. I think I was born with an elk steak in my hand. But do love the vegies. Have had a few friends in my life, that were vegetarians. Took a while to convince them to try meat. It think it was all the good smells as I cooked. But they ended up trying deer and elk. And that was all it took. So it must not have been a religious thing with them. Because it didn’t take a lot of convincing. Good for you for passing on the news. Maybe just your simple words might convert a few others to try this wonderful world of food that we have found. Oh I definitely love vegetables! I think more than most people, I eat a big salad nearly every day and never get tired of it. That’s great you showed a few people how good deer and elk is! Meat always does smell really good cooking!